Yes, thanks all organisers and helpers for a thoroughly enjoyable day. 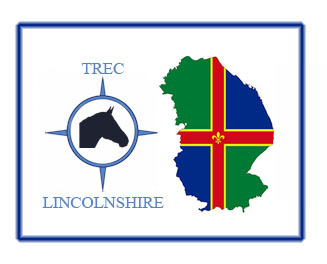 Thank you to everyone who organised such a fantastic day, we had a brilliant time and very excited to be on the Trec Lincolnshire League table! Yes indeed, I echo Kaye's words. What a super day we had yesterday, thank you all. Look forward to seeing you at the next venue whether as participant or helper! Yes thank you another great day, looking forward to afternoon tea and the christmas event. Well said. Trec is 'the friendly sport' wish I had discovered it years ago! A wide selection of not only cakes on the menu and you can choose what you like. Going for 2 PM so people can get back to sort their beasties in the evening. Please email donnatownsend73@gmail.com by Sunday evening if you would like to join us. Huge thanks to Caroline, Sarah and all the helpers yesterday. It was tremendous fun and all ran extremely smoothly. A lot of hard work goes into organising and running these events and it's very much appreciated. Once again, a fabulous day of trec competition. Every one so friendly, as always. Huge thanks to Caroline, Sarah, Jane and all helpers. Totally agree, was great fun as always. Thanks for today. Well organised and very friendly. I was over the moon with Rio today. Previously breaking into trot and scattering pimples our hard work has paid off and we actually got 11 points for canter! He was brilliant at everything else too, and deserved much more than fourth, but everyone else was brilliant too! A massive thank you to you guys for a super day! Thanks all involved in organising and running yesterday's Trec event. As usual we really enjoyed the day and the competition at the end was tremendous fun. Fab day, had great fun 😊. Thank you! Yes, Thank you to organisers. Our first attempt at Trec, really enjoyable and hoping to come again. Well what an enjoyable afternoon spent at the AGM at Cherry Willingham (when I found it!) It was very well attended, and the Lemon Drizzle Cake was to die for! Yes thanks for a lovely afternoon. Must agree the lemon drizzle was lovely ! Thanks for a wonderful day! Could not be prouder of little Tia for her first full competition, especially when she took her big sisters place at short notice! First Full Trec. Nailed the map reading and had fun doing MA and PTV in windy conditions. Many thanks to Trec Lincolnshire for a great day. Brilliant weekend! Thank you Caroline and Sarah, and all your helpers for organising and running such a friendly event. Lynsey and I throughly enjoyed ourselves, don't know if the ponies did after going up that hill! - not use to that type of terrain on the Bedfordshire/Cambridgeshire borders! We will be back!! Thanks to Caroline Forrester and her merry band of helpers for a memorable weekend of fun and friendship!!! I would like to endorse Jo's comments and thank Caroline and Sarah and their team and all the judges that made it a lovely weekend. Hope one can be run from there again! Brilliant weekend at Willow Banks TREC organised by TREC Lincolnshire. Lovely venue, fun competition, great company. Wooda seemed very relaxed on Sunday morning but perked up of course as soon as I started riding him! Good MA score of 42 (30 for canter) then onto the PTV. The time limit of 9 minutes seemed very tight but I was determined to get as close to it as possible. Wooda was really good, despite a lack.of recent schooling and no TREC since last September and he tried really hard. Got his first ever 10 for Rein Back! Unfortunately I failed to remember the correct route and missed 3 led obstacles (I walked it twice...) so returned with a big fat 0 for PTV. Never mind, we had a lovely weekend and still managed to squeak into 4th place I think to qualify for the GB Championships at this level. A million thanks to everyone involved in organising and judging this event, it is very much appreciated.